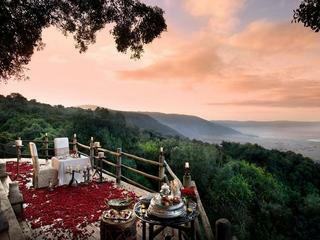 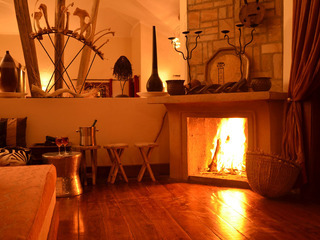 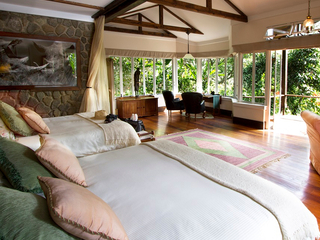 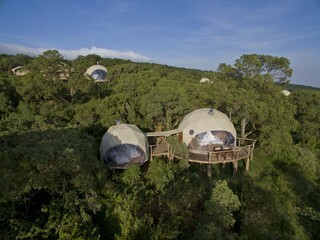 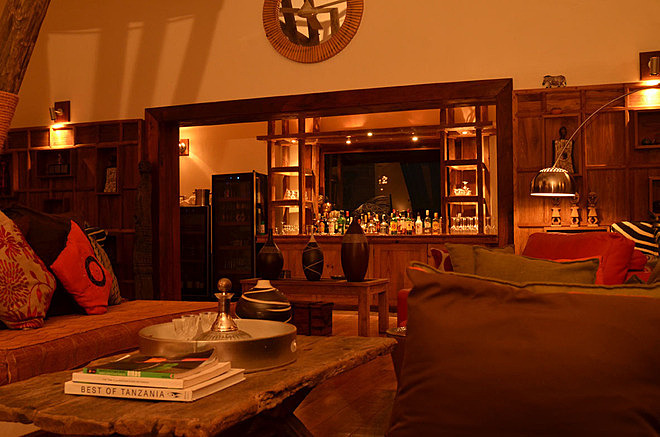 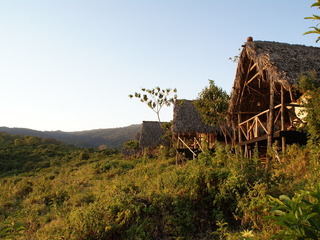 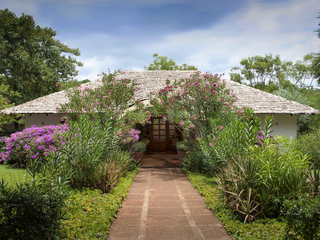 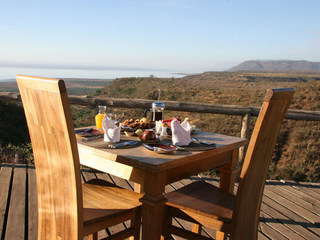 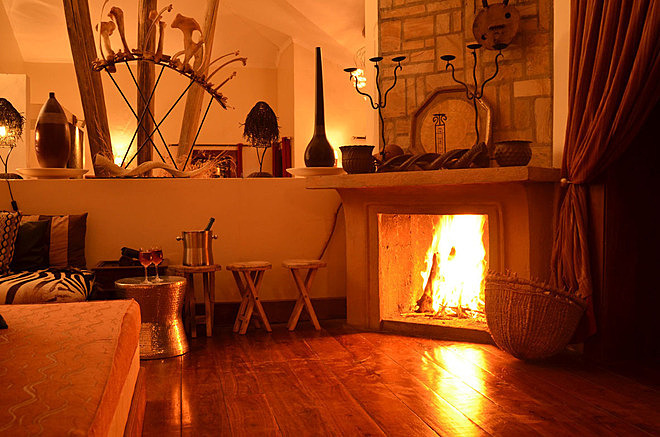 Escarpment Lodge is a first rate property situated on the periphery of Lake Manyara National Park, Northern Tanzania. 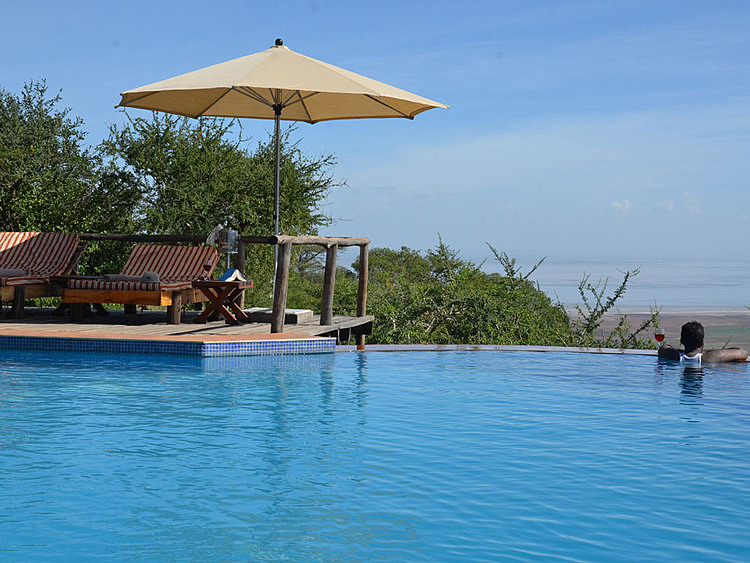 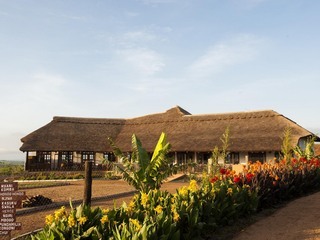 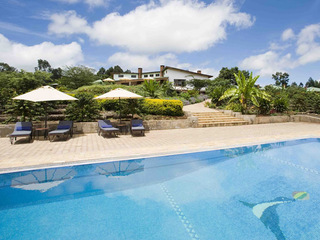 Perched high on a steep slope with stunning views across Lake Manyara and the Great Rift Valley, the lodge is one of the most comfortable in the area and is well located near the park gates. 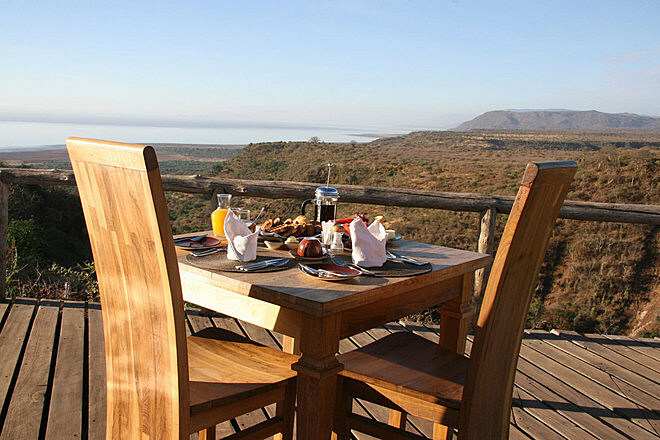 There is a rich abundance of wildlife to enjoy, from baboons and blue monkeys to vast herds of buffalo, wildebeest, zebra, elephant and lion, and the birdlife is spectacular. 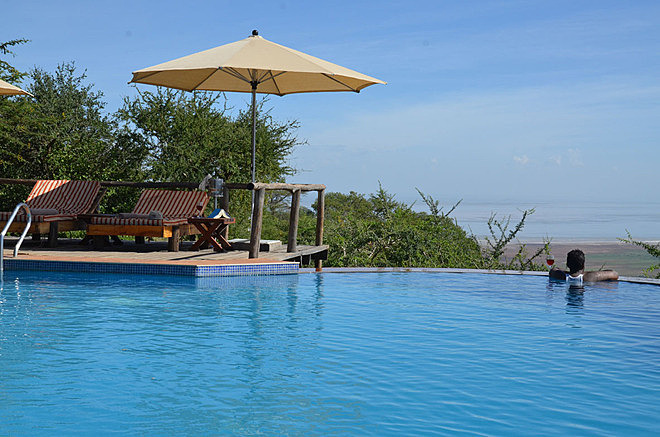 The main lodge is sumptuously furnished and has expansive outdoor decking with fabulous vistas of the lake where pelicans can often be seen diving into the water. 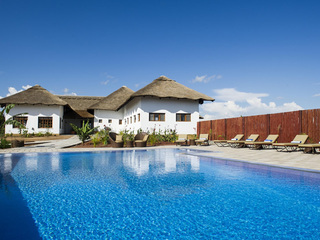 There is a good-sized swimming pool with sun-loungers and stunning panoramic views, a spa offering a wide range of treatments, and a gift shop. 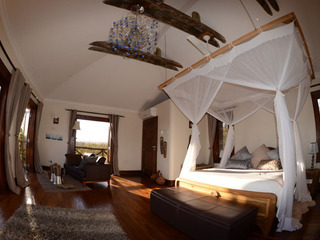 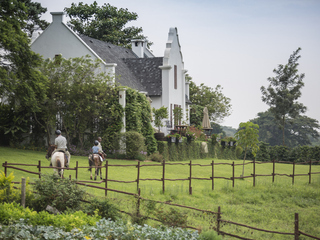 The accommodation comprises 16 very spacious chalets, each with private veranda, four-poster bed, private lounge area and a good-sized bathroom complete with indoor and outdoor showers and a large, deep bath. 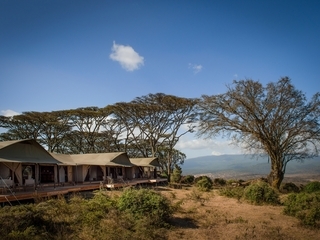 Being gently woken in the morning by the sounds of the wooden bells around the Maasai cow’s necks and the resident birdsong is a delight! 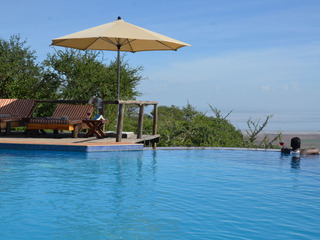 The activities are centred on vehicle safaris in both the Lake Manyara National Park and the Ngorongoro Crater, about an hour away. 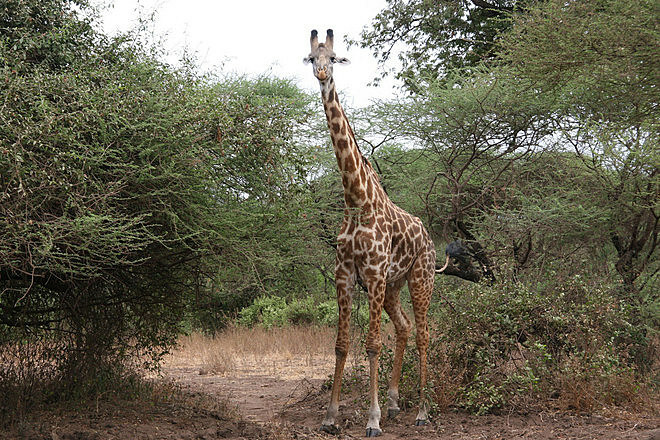 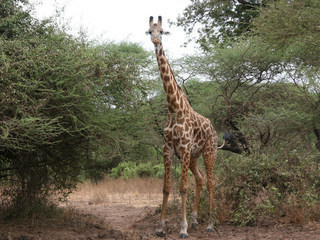 Tarangire National Park is also a 1-2 hour drive away and visits can be arranged on request. 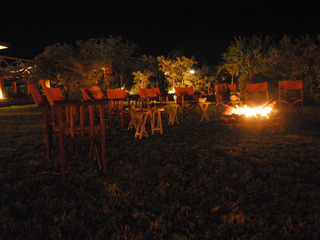 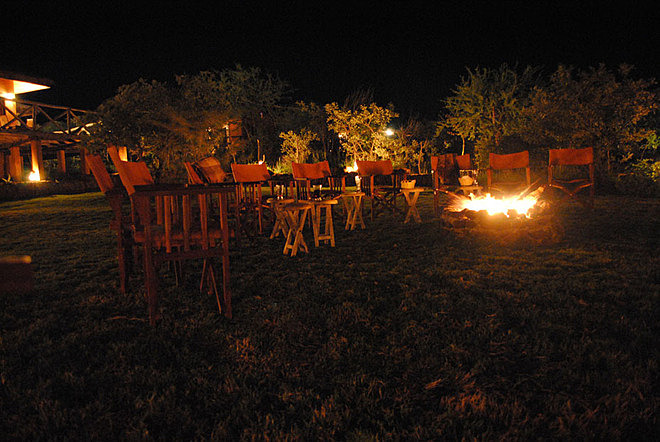 Night drives take place in the Lake Manyara National Park and day time nature walks with Maasai guides are offered around the lodge, allowing guests the slower-paced chance to get closer to nature amidst the breath-taking surroundings of the Great Rift Valley. 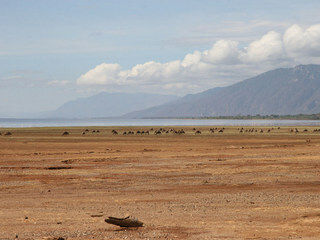 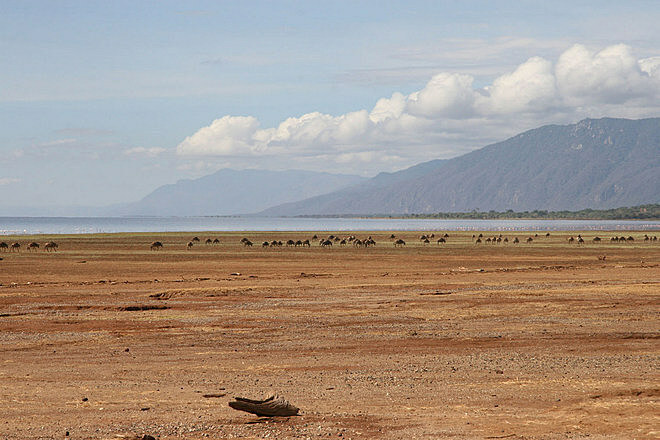 More vigorous walking safaris can be arranged around Lake Manyara or in the more distant Serengeti. 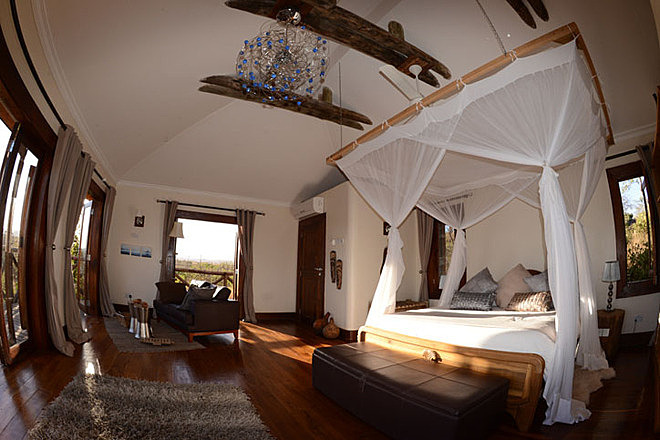 It may be possible, at times, to arrange hot air balloon trips (pre-booking essential). 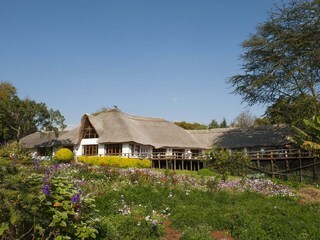 Escarpment Lodge is in an excellent location for a variety of trips. 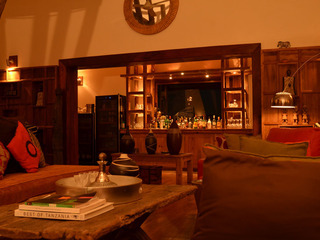 It is a great option for those looking for a serious safari focus in a beautiful locality with comfort and pampering to boot.